Now Day 15 of Captureing Christmas is My favorite Holiday song. 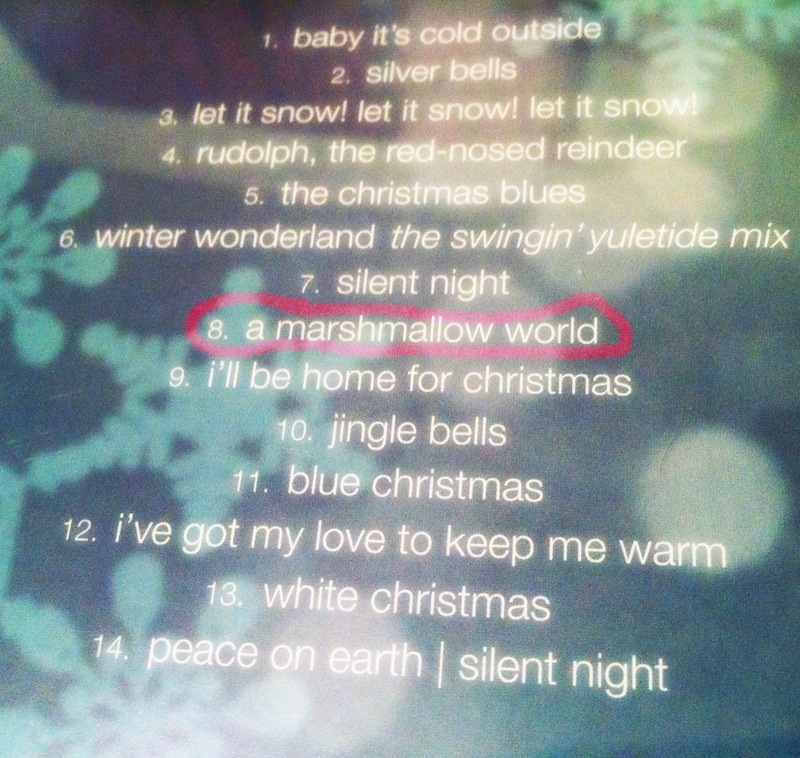 I have quite a many faveorite holiday songs actually. But I would say this is in my most listened too this season. I chose A Marshmallow World By Dean Martin. :) Sorry about the picture but figured no other way to do it, So i snapped my Dean Martin Christmas cd lol.